In the last decades, important vector-borne diseases have reappeared or spread to new parts of the planet. Factors such as climate change, globalization, deforestation, disorderly urbanization, are causing an increase in the number and spread of vectors around the world, leaving people increasingly vulnerable. The diseases they transmit mainly affect the poorest populations who lack access to adequate housing, clean water and sanitation. The situation is so serious that the article “Past and future spread of the arbovirus vectors Aedes aegypti and Aedes albopictus“, published in the journal Nature Microbiology , warns that by 2050 half the world’s population may be at risk due to mosquito-borne diseases. 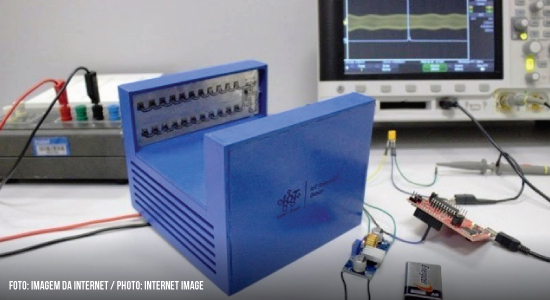 In order to help prevent Aedes Aegypti-caused diseases, a project was developed at the IoT Research Group of the National Telecommunications Institute (Inatel), in Santa Rita do Sapucaí (MG), using the Internet of Things (IoT) paradigm to carry out mosquito control and mitigation. The coordinator of the project, Professor Joel Rodrigues, explains that among the advantages of using this method of data acquisition (optical sensor) are the low energy requirement and the low data consumption. That is, the captured information mosquito detection is small, which allows us to employ a data processing system with current protocols used in the context of the Internet of Things. “The sensor set, the data processing and data transmission is considered as an object for IoT and this object, besides the monitoring to detect Aedes Aegypti, also serves to mitigate”, he adds. In practical terms, the trap is connected to a network and the data collected are translated and managed by a middleware for IoT, developed by the research group In.IoT (https://www.inatel.br/in-iot), the which allows this data to be viewed via the Web or by mobile applications. Uniform trapping with IoT-targeted and technology-oriented traps provides relevant information in real time, which can help health and sanitation authorities in more precise and agile monitoring. Diego Amorim, Professor Joel Rodrigues’ master’s and guidance student, says that the project is divided into two stages: the first performs the sensing and data acquisition, while the second processes the acquired data transmits to the In.IoT platform. In the data acquisition part an optical sensor with the capacity to identify the wingbeats frequency of any insect is used and by this frequency it is even possible to verify the species (for example Aedes Aegypti) and the gender (females). The project also provides a trap to control females – the barrier with sensing and processing system is able to detect the type of insect that passes through it and if they really are females. For this, two coolers are installed and if the insect is not Aedes, one of the coolers releases it from the trap. Otherwise, the other cooler projects the mosquito to a catch zone. 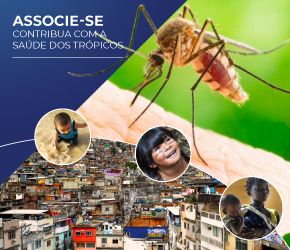 One of the relevant points of the project for future health research, namely dengue, zika or other mosquito-borne diseases, according to Amorim, is to obtain more accurate information about the prevalence of Aedes Aegypti in certain areas, based on the mosquito population and not in the foci of larvae, as it is currently done. “Most techniques available to monitor for possible outbreaks depend on the direct action of health teams, and usually on the larval count. The disruption we propose is to monitor adult mosquitoes in flight, in environments where we currently cannot do. With this, we will provide new data to contextualize its prevalence in a given location, taking into account temperature variation, air humidity, and thus correlate data”, he details. The project is also able to detect other vectors as long as they fly. Since each insect has a unique signature (from a wing-beat frequency point of view), detection can be changed as long as the frequency of interest is adjusted on the sensor. Professor Joel points out that the project is an effective tool to help tackle the problem of diseases transmitted by Aedes Aegypti and sees the possibility to expand. “This project is easily transferable to all Brazil and the world”, he emphasizes. However, he recognizes that it is still at an academic and scientific level but expects that it will soon become a commercial product. 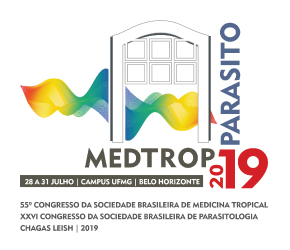 “The project can be determinant in the context of insect-borne diseases and when the proposed objectives are achieved it will yield great results regarding tropical diseases transmitted by these vectors. In it, technology and health go hand in hand. This solution will impact the cities and people’s lives. Its scope and reach can have a global impact and it will be a Brazilian innovation for the world”, he celebrates. Researchers reveal that within three months the prototype must be finalized, and the field tests will begin, at which point the trap will finally be put into practice. “We already have a legacy of laboratory experiment results from both a sensing and a data processing point of view, so with the prototype we will be able to evaluate the actual performance of the solution in a real scenario”, Amorim concludes. The numbers and forecasts for IoT are always great. International consultants such as McKinsey predict that the economic impact generated by this technology could reach 11 trillion dollars by 2025. Large global technology companies estimate that health will be the sector that should generate more wealth and where this impact will be greater. Estimates suggest that in the year 2025, between one third and half of the turnover volume of IoT will be in the area of health. In Brazil, one of the priority areas of the “Internet of Things: an action plan for Brazil”, coordinated by the Ministry of Science, Technology, Innovations and Communications (MCTIC), presented in October 2017, is the Health area. That is, it will be an incentive for companies that develop IoT solutions focused on this area. The others are rural environments (Agribusiness), Intelligent Cities and Industry. The tendency is that the Internet of Things is increasingly present in our lives and with positive results. An example of its use lies in the combined effect of climate change and the impact of society on land that has intensified the exploitation of natural resources, threatening infrastructure, food systems and quality of life. Less waste of food; Cleaning of air and water; More efficient agriculture; Connect patients and doctors; Smarter and more humane cities are areas where IoT already makes a difference and have recently been listed at the World Economic Forum: “6 ways the Internet of Things is improving our lives“. Melhorar a vida dos povos da Amazônia passa por eliminar a malária. A SBMT está sempre comprometida com novas ferramentas e estratégias para este fim!